Last week I mentioned the large number of sophomore albums on this list and hinted at another list of great second albums. Today’s featured album is something more traditional — a fabulous debut. Great first albums are special because not only do they contain memorable music in their own right, they are invested with the promise of what’s to come. When discovering a new artist who instantly clicks, it’s hard not to imagine how that career might develop over future decades. Starting off the final week of my series on great albums, I arrive at a band that has released only five studio albums over 18 years… two of which were strong contenders for this list. Counting Crows don’t get a whole lot of respect from critics and music snobs, for reasons I’ve never understood, but I’m a huge fan of their brand of literate, earthy pop rock. They borrow from Van Morrison, The Band, and R.E.M. but the product they whip up in their musical blender is distinctly their own. The band exploded out of the gate in 1993 with ‘Mr. Jones,’ still the biggest hit they’ve ever had. That song appeared on their debut album, August and Everything After, a record that stands as one of the 90s’ best. Clay is notorious for his hatred of Greatest Hits compilations. He won’t own them, even if those are the only songs he wishes to listen to from a particular artist. Therefore, when he realized I owned “Films about Ghosts,” the Counting Crows’ version of a “Greatest Hits” album, despite the fact that I own all of their other albums, he understandably chided me. 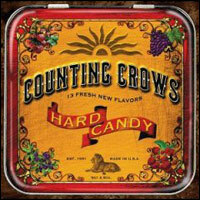 The 6-year gap between Hard Candy and Counting Crows’ next album, Saturday Nights and Sunday Mornings, was the longest yet. And unfortunately the new material wasn’t quite worth the wait. Conceived as a split between hard songs (the Saturday nights) and soft (the Sunday mornings), the album wound up a bit too extreme on both sides of the spectrum. Each half contains some strong material but each also contains songs simply not worthy of the band’s name. 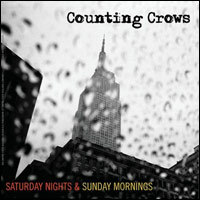 Opening track ‘1492’ is the one song in the Counting Crows’ catalog that borders on unlistenable… a blistering hard-rock tear that doesn’t relent for four minutes. 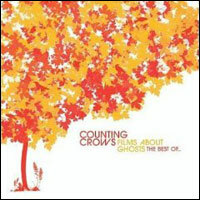 The other five songs that make up the album’s first half are better but not better than average by Counting Crows standards. As much as I love August and Everything After and This Desert Life, if I had to choose I would name Hard Candy Counting Crows’ best album. One reason is that, like those albums, it does so many things right but, unlike them, it manages to do absolutely nothing wrong. I don’t hear a false note on Hard Candy. The biggest hit off this album is oddly enough a hidden track, and one the band didn’t even write. A cover of Joni Mitchell’s ‘Big Yellow Taxi’ tucked away after a few minutes of silence at the end of the album wound up on a movie soundtrack and the Billboard charts. I heard Mitchell’s original the other day and was reminded of how much I like what the Crows did with it. Hers, not so much. 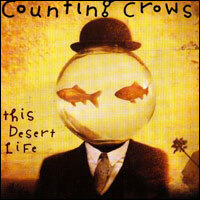 If Recovering the Satellites was a slight misstep, Counting Crows’ third album (1999’s This Desert Life) was a powerful return to form. The album marked an evolution for the band, particularly musically… there’s a richness and depth in these songs that stands out even compared to their great early work. Kicking off with the feel-good party anthem ‘Hanginaround,’ This Desert Life makes quite the first impression. I’ve noticed that kids tend to like ‘Hanginaround’ (at least kids in my family) and I think that speaks well of its construction. 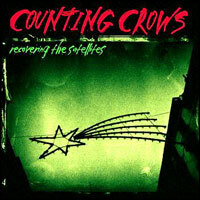 Counting Crows’ second album, 1996’s Recovering the Satellites, was a bit of a letdown from August and Everything After, but I’ve grown to appreciate it over the years. Initially it felt a little too hard and a little too all over the place. And I’ll admit, the extended coda of the otherwise excellent song ‘Miller’s Angels’ annoyed me so much that it turned me off the whole album for awhile. Duritz occasionally suffers from that Sting syndrome of not wanting to let songs end. And he can be a bit too in love with his own voice sometimes, noodling around with a phrase until you’re ready to smack him. But that complaint aside, Recovering the Satellites emerges as a solid effort that avoids the fabled sophomore slump.